Jim Daynes is a nuclear physicist, whose laboratory does experimental work for the Military. During an inspection of the laboratory, Jim finds one of the inspectors, Colonel David Jenkins, dangerously close to an experimental model of a top-secret Nuclear Bio-Regenerator. During the confrontation, both men fall into the machine, which Colonel Jenkins had turned on, and are freakishly mutated by the machine, their cells combined with the contents of an unpopped bag of popcorn that Jim had just gotten from a vending machine in the lunch room. Waking in the base hospital, Jim discovers that his body has been transformed into popcorn. The only thing left of what once was Jim Daynes is his piercing blue eyes. Jim, however, learns that his new form has given him strange explosive “popping” powers. By learning to control the explosive pops of his light-weight popcorn body, Jim can propel himself through the air and can increase his strength. 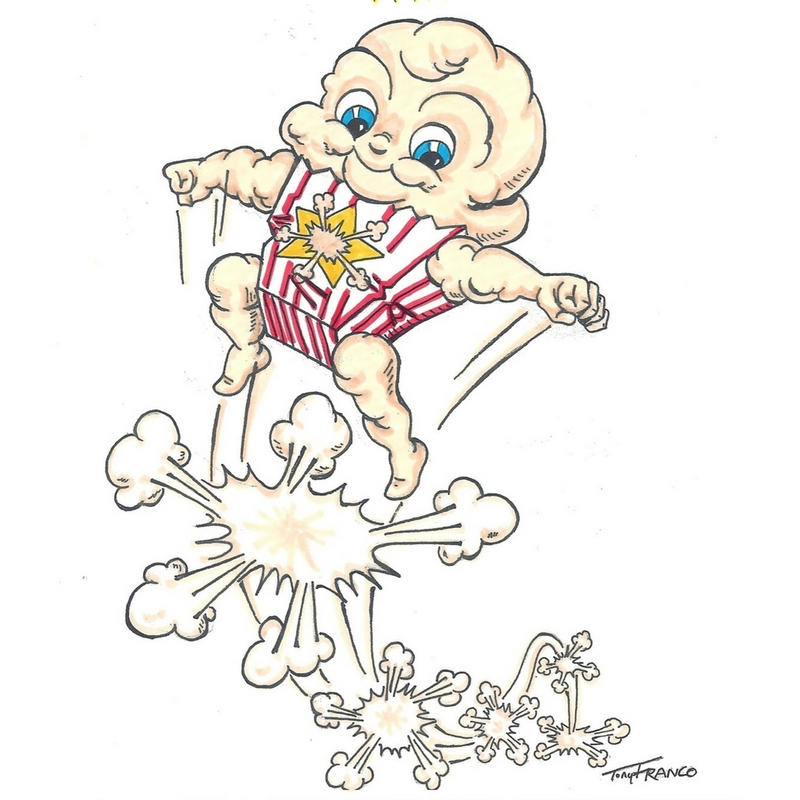 Jim’s popcorn body also was able to withhold the nuclear heat from the machine, which he is able to release through his eyes as “heat-vision”. Jim’s military liaison, Sergeant Carl Custarde, convinces Jim to use his new look and powers to inspire and aid his country. Carl is convinced that this fateful accident might make Jim a national celebrity, a real “Pop-star”!